How would you rate your experience with Dollar Rent a Car ? Dollar Rent a Car was founded in 1965 in Los Angeles, California by Henry Caruso. The business was originally named Dollar A Day Rent a Car, but changed the name when price increases made renting a car for one dollar impossible. Besides vehicle rentals, the company also offers business and vacation travel planning, airline and hotel reservations, as well as online services, including reservations for rental vehicles. In 2014, a woman filed a lawsuit against Dollar regarding what she called “obvious overcharges” in regards to rental insurance. The company has locations in the U.S., Canada, Latin America, and other countries. Today, Dollar Rent a Car operates as a subsidiary of Dollar Thrifty Automotive Group, Inc. Question 1: What is the phone number for Dollar Rent a Car? Answer 1: The phone number for Dollar Rent a Car is (918) 669-3000. Question 2: Who is the CEO of Dollar Rent a Car? Answer 2: The CEO of Dollar Rent a Car is Kathryn V. Marinello. Question 3: Who founded Dollar Rent a Car? Answer 3: Dollar Rent a Car was founded by Henry Caruso in 1965. Gee! Wish I would have known how awful this company was. However, I did book through Priceline. I booked the car under my son-in-laws name because he was going to be the driver. Our flight was delayed fro Orlando and I called and told them that we were being delayed and would not get there at the time we should have. I was ASSURED since our flight was delayed that they would wait for us! My son-in-law raced to get there and they were closed! Thus, leaving us stranded in Midway/Chicago with 2 small children and 5 adults. I called and was told that they would see if they could honor the price at O’Hare. I asked how I was supposed to get there and was told that I would have to get there on my own! WHAT A JOKE! Hertz Rent-a-Car was nice enough to try and accommodate us. However, we were promised a Suburban or similar vehicle. Hertz was able to give us a Dodge Caravan, but we were packed in there, with no room to move! I called the number for the Corporate Office and the number was changes or disconnected! IMAGINE THAT?!?! I will get in touch with someone, just a matter of time and I will NEVER use this company ever again. Also, I will spread the word to everyone I know to NEVER use them as well. HORRIBLE!!!! We arrived in Puerto Vallarta airport to be taken off site to pick up our van. We were then quoted an outrageous price for insurance to the tune of $4000 Canadian. We finally settled on $1500. At $40 per day which we now find out seems to be the norm for 21 days it should have been $840. Everything was signed and we had to go outside to give $350 Canadian cash in order to get our key. After traveling for 15 hours and it being later in the day we were not in a position to argue. I did leave a formal complaint at the rental office after we dropped off the vehicle. In essence we were grossly overcharged to the tune of $660 for insurance and the $350 cash. My total bill should have been $1292.00 Canadian and according to the paperwork it will be $1919.00. I do not mind paying what is due but am pretty upset about being ripped off! I was rear ended in a dollar car the first week of January 2019 n Atlanta Ga, I have heard nothing from your company about the damage done to the car nor has my insurance company been contacted. I would expect some sort of contact between your company and me and or my insurance company. Could you please respond to this issue and tell me what is going on. The car was rented from and returned to the Atlanta Airport. Rented car at SFO. Purchased CDW/LDW insurance. Car broken into within 1 hour of arriving in SF. Window broken and items stolen. Police report filed and copy sent to Dollar. Car returned and replaced. Report filed with Dollar. NO response from Dollar after 11 emails and countless hours on hold. Dollar persists in ignoring all attempts to contact regarding claim. Believe OBVIOUSLY FRAUDULENT MISREPRESENTATION. Will likely require escalation and withdrawal of mandatory arbitration clause in coverage, possible class action. Stay tuned. Rented 2 cars on the website with Auto Europe. Res# H83112268B4. Ended up having to pay an extra charge of $ 65.93 per car at Dollar counter in Fort Lauderdale in order to get the cars. Was very upset with the surprise which was not indicated anywhere. We believe we got “stung” with these extra charges. A friend of mine in the same period ended up paying same amount as us but no extra surprise charges from Dollar. These hidden charges should not be permitted. Being a long time customer of Dollar we would like a refund for our $ 65.93 extra charges per car being $ 131.86 for both. Misleading advertising is the worst case scenario to lose customers. Most people don’t complain and companies get away with it until it catches up to them with their customer base being eroded. Let me start by saying that I have been renting cars with Dollar for over 20 years now. I am also a member of the Express Rewards program. Up until the past two years or so renting with Dollar has been mostly problem free. But lately there has been a host of confusing and frustrating issues that have caused me to consider whether is is time to move to another rental company and avoid all the effort that goes into trying to work through these issues with Customer Support. Let me list some of the most glaring problems incurred lately. – Rewards points that are not being awarding automatically for prior valid car rentals. Let me give 2 recent examples. Even though the rewards App program provides you an opportunity to add “Missing Points” for rentals by providing the requisite information, I was not able to do so for the above and had to enlist customer support to make this happen. They provided “Customer Service Adjustments” points on 11/28/18. – Some airports do not fully participate in the rewards program. It seems that smaller airports still require the customer to proceed to the service desk to complete and pick up the rental. According to the Express Rewards Program one of prime the benefits was being able to proceed directly to the garage and pick up your vehicle and drive off the lot. Supposedly that is why we provide all our information, credit card #, vehicle choice etc. to the rewards program so we can walk to garage, choose our vehicle and drive off. – Rental agreement #176022604 out of BWI Airport 12/14/18 – 12/17/18. I had my own EZ-Pass transponder which properly picked up both the outbound and return trip on the toll road on 12/16/18. Yet on the return trip a video license image was was also recorded, even though the transponder had also charged for the return trip. This video image is what is forwarded to Dollar by the toll authority. I am not citing Dollar for this mistake (the simultaneous video record is the problem of the toll authority). My concern is the actions that I had to take to rectify this toll violation with Dollar. I received notice of the violation, #7461891179532 on 12/13/18. After checking the transponder records with EZ-Pass and discovering that a mistake was being made I immediately followed the instructions on the violation notice. The instructions noted: “If you have already remitted payment to the toll issuer (in this case the transponder payment), please provide us with proof of payment so we may clear this matter with the toll issuer. Proof of payment may be faxed to 602-532-7211”. On 1/8/19 I faxed the violation notice, EZ-Pass record etc. The due date was 1/14/19. Some time after the 1/14/19 due date my credit card was charged $17.15 ($2.15 toll amount and $15.00 administration fee). I contacted Dollar Customer Support to determine why I was still being charged for the violation. I was told I should have emailed the documents to dollarrentacar@ atsol.com. and not follow the instructions on the violation. I emailed the documents on 1/31/19. On 2/8/19 I received an email indicating that my credit card was credited $15.00..the Administration Fee! What about the $2.15. That was paid once as the toll on the tranponder record and a second time to Dollar! Is this confusing to anyone? – Most recent rental 1/22/19 Orlando Fla. #197690673. Select car in garage. Load car with golf clubs, luggage etc. Get in car and start it up and discover only have 3/4 tank of gas! Unload car and select another. Load car, check gas, drive off! – Unable to “View, Modify, or Cancel” my rentals on Dollar.com. Enter Confirmation # and last name….”cannot locate reservation”! Asked Customer Support about this and they did not have an answer! Yeah, maybe it’s time to move on rather than deal with these problems. I really don’t know where to begin with this but I’ll give it a shot, I travel to DC quite frequently with work and I’ve been going to Budget Rental for around 12 years now, I decided to give Dollar a try and rented with you back in November 2018. The gentleman at the counter was quite happy to help me since I had just switched to your company, and even gave me a free upgrade! I went out to the parking lot and chose a vehicle – It was evening and a little misty when I arrived so I put my bags into the trunk and started my routine “walk around” inspection of the vehicle. As I proceeded around I immediately noticed that the vehicle had a small amount of splattered road tar behind the wheel wells; as I continued around the vehicle I noticed what I had presumed was more tar down around the bottom of the passenger doors. As I approached the other wheel well on the passenger side I decided to bend down to the closest spot for further inspection, and rubbed my finger through what I now know was road tar. Satisfied with my walk around I departed the lot and headed to a colleagues resident where I spent the night. The residence where I stayed has a simple 4 vehicle driveway, and my rental car was the only vehicle parked there throughout the night as the other vehicle were parked within the garage. The next morning I left for the office where I have my own parking spot located next to a wall on the passenger side, so no one was able to park next to me. The next morning I departed for the airport and checked the vehicle in with the attendant. He immediately went to the passenger side, which I thought was odd, and began pointing at two 3-4” black lines under the passenger door. Upon further inspection, the two lines, which I had presumed was tar, appeared to be two 3-4” scratches in the paint. I immediately asked the attendant to please take a look at the past inspection log/data for the vehicle in order to rule out the fact that I had nothing to do with this damage. There was NO other damage other than the small scratches on the passenger side, and it was even annotated in the statement that I made that morning at your rental car location on Autopilot Drive, IAD. I was assured every step of the way by your staff that it was “okay” and to just “explain what had happened” in the statement, which I did. Well here we are a few months later and my family receives a letter claiming that there is over $1,100 damage to the vehicle, for 2 small 3-4” scratches? I’ve spoken to my insurance agent and they have a claim stating that there was additional damage to the driver’s side rear bumper, how?! Could someone please contact me via email to explain this? This isn’t the way I intended to start off as a new customer with Dollar Rental. There are plenty of options, but unfortunately most companies lack the ability to provide an adequate level of care and understanding for their long-time customers. I’d like to extend the opportunity for both parties to come to an amicable agreement, one where you (Dollar) get your vehicle repaired, and one where as your customer, I am not being taken advantage of, at this moment it’s quite apparent, that I am. I had a terrible experience with Dollar and wrote a letter explaining the experience to the CEO that was identified on the Web Site, that day. I addressed it to Dollar Renal Car, 5330 East 31 Street, Tulsa, OK 74135. I received the letter back, return to sender. unable to forward, not known. Now this is amazing. I am disputing a charge. So you want to play games. No Problem. I have the un opened letter to show the judge, sent registered and returned to me. I have done what any reasonable person would be expected to do. Thanks for letting us know the site was out of date. It has been updated. and still have not received an answer of why more money was charged except their error. I thought I had a bad deal with Dollar until I read the complaints below! My wife and I picked a car up at Orlando Int Airport on 9/15. In over 25 years of visiting Florida we had never had a problem renting a car but the Dollar rep. spoke poor English and dealt with us very quickly. He told us to return the fuel tank full, as expected. With a queue of people waiting, I didn’t realise that we hadn’t been given a copy of the rental agreement so it wasn’t until we were back home that I found my credit card had been charged $225 more than expected. In exchange of emails, I found that we had allegedly agreed to take two options – Premium Road Service and Concession Fee Recovery (whatever that is) – and had been charged for the tank of fuel. I shan’t be using (the Hertz owned) Dollar/Thrifty again. Is there anyone at Dollar the horrible car rental who looks at what is happening inside their stores. I returned a car 7 day before it was due and was charged for the entire 12 days. No only I did not receive a refund, I am asked to pat a $77 toll charge that they allegedly paid on my behalf. Is there any toll anywhere between Denver and Estes Park CO? This is much worse that fleecing the public. Mr. Paxton I will make sure that anyone who wants to rent Dollar and the parent Company Hertz not to do so. You people are giving highway robbery a whole new dimension. Rented a car out of the Memphis airport ,told me I could not have the car I picked fro my row with no explanation .They gave me a Toyota it had scratches and a key fab that was glued together,which fell apart when I arrived at my hotel in little rock Arkansa for a family funeral .When I returned the car I was charged $356.00 for the key , I had to make my flight . Called customer service same day the said they could not even listen to my complaint for 24hrs .That was a straight out LIE .called the next day and was treated so horribly ,disrespected basically threated by the supervisor about a refund . I have filed a complaint with the BBB and on your face book page . I will be calling my attorney general to find out my options. We were scammed . I wont stop posting horrible reviews anywhere I can find until I get results and an apology !!! I booked for a car and finally when I went to pick it, they wouldn’t release the car to me. Dollar assured me that they would refund my money. It has been more than 2 weeks and I haven’t still had my refund. I called in today to talk to one rude guy called Jeff. He told me there was no way to refund the money. And when I requested to talk to a manger, he told me there was no manager to talk to. I asked to talk to someone else, and he wouldn’t get me anyone either. Dollar will loose their customers if they keep employees like Jeff. I hope they get back to me to refund my money they took from me for no services done. The most horrible place I am so unfortunate to have to deal with. I am a businessman from Thailand, but it would be shameful to call this car rental a “business”. If all the questions I posed below in the detailed report are not answered satisfactorily, I will assume that the Dollar employee(s) at LAX stole our belongings right before our eyes, and think they will get away because we are tourists and have no recourse. I have tried to get the “management’ to take notice of the incident, but I believe they don’t care. All they have to do is to investigate the incident and look at the surveillance footage from cameras around the premise, and they will find the thief(s). However, so far, there seems to be no real action except some pass the buck b.s. Anyway, for those interested to know what happened, the report below is very long but will shed light into why you should stay away from them. · Friday June 8th 11:45am. Customer had to take car out 3 times. · 2nd car was supposedly defective and due for maintenance, but parked as ready for rent. · While customer was looking for another car, a Dollar employee suddenly drove off the 2nd car with all the belongings still inside. · Customer ran to stop the car about 70 yds out. · Another Dollar employee helped carry 4 luggages back to third car. · In the confusion, one sports bag carrying an expensive Hermes designer bag ($15,000) was left in the backseat of 2nd car. · Customer went back early next morning, a person named Samantha said the car was sent out for maintenance and couldn’t be located. She needed 2 hours to locate it. · Customer left phone numbers but never got any call back. · Evening after reporting loss, we called another employee and she told us they still couldn’t locate where the car was sent to??? · Customer went back with LAX police and the manager and a man named Tido Sanchez said the car was re-rented out the same afternoon of the 8th to European customer, and they couldn’t be contacted!!! · With all the conflicting accounts, we suspect there’s a crime committed and believe all the proofs are in the surveillance camera footage and would like an authority to look at the event around the car. After 20 hours flight from Thailand, we arrived at Dollar rent a car and were told to take any car from the parking area on the right side of the lot. First we put all our luggages (4) and one sports bag (Tommy Hilfiger) containing a brand new Hermes designer handbag costing US$15,000 in a blue Toyota Armada and tried to exit the gate at approximately 11:40 am. However, the guard told us it was a wrong type of car since we rented a minivan, not a SUV. (We didn’t know because it was parked in the minivan area). We re-parked the SUV and moved all our luggages into the trunk of a Nissan Quest minivan and my wife put the Hilfiger sports bag in the 2nd row back seat. We asked an employee named Yvette how to fold down the 3rd row backseats. When we arrived at the gate, we were told by the guard that the Quest had a sticker on it because “There were too many complaints with the car”, and we had to return it. So we had to bring it back to re-park in the same minivan area. While we were looking for another minivan, somebody suddenly drove off with the Quest with all our belongings inside. I had to run after the Quest but the driver stopped at another line of parked cars about 70 yards from the minivan area and just walked away. Yvette saw the incident and helped me carry the 4 luggages from the trunk of the Quest and put them in a Kia Sedona which we finally was allowed to take out. In all that confusion my wife thought we removed all belongings from the Quest, but I didn’t know she put another bag in the second row back seat, so we left the rental place with the bag still inside the Quest. Later that evening when we arrived at our second home in Westlake Village, my wife realized we left the Hilfiger/handbag in the Quest, but the Dollar office was already closed. Very early in the morning, we went into the Airport Dollar location and had to wait until 9am for someone from lost and found to come in. 9 am. we met a woman named Samantha who exclaimed “Oh! You are the ones they talked about yesterday”. She told us to wait and went inside the back office to look for the bag. At the moment we were hopeful they had the bag because she knew about us. However, after about 10 minutes she came out empty handed and told us the car had left the lot for maintenance, but they didn’t know where it was because they have 3 possible lots it could have been sent to!!! They needed 2 hours to track it down! Samantha told us to go to the lost and found website to file a report (which we did immediately), and told us to wait while they track down the Quest. We gave her our 2 US phone numbers and she said she would let us know when they find that car. She went back inside. We went outside into the lot to try to ascertain that the car was not really still there. We met Yvette again, who was very sympathetic to us, so we asked for her number in case she found out anything. When we came back into the rental office, we saw Samantha just standing outside the back office having coffee with one other employee. We had to go out of town that Saturday and were waiting to hear from Samantha in what actions they might have taken to locate our bag, but the whole day there was no call from her. However, we got a call from Yvette to ask if we knew the license plate number of the Quest, but we didn’t. We told her Dollar should be able to find out through the surveillance cameras both at the rental area and the gate. She told us they were still looking for the car. Later that evening I texted Yvette to ask if there was any progress? She texted back that someone named Jeremy spent the whole day looking at the camera and finally found out which minivan it was, but the car was out in possible 3 lots, but they were not sure which one!? Until Tuesday there was still no call at all from Dollar on what actions they have taken to try to locate the bag. We kept looking at the website to see if our item was listed. One item turned up at Thrifty on the 10th under “handbag/purse”, so on Monday 11th my son who is a better English speaker called the lost and found to see if it could have been ours. He first talked to someone called Stacy, but later transferred to Samantha. My son tried to see if the “handbag/purse” shown up at Thrifty could have been ours? After trying to match the description to the vague detail in their report, Samantha said she would check and call our son back. She never called back until our son called again. Then Samantha said the “handbag/purse” did not match our description, but then told my son that she located the Quest and she personally looked on the back seat and found nothing!!!!! We went to the LAX Police department to file a report. The assigned officer tried to help us contact Dollar on the phone, but was transferred everywhere but the actual location. He decided to accompany us to the location, but later found out the area was under Inglewood police’s jurisdiction. So the officer could only help us communicate with the office manager. Here comes the real twist. We met the shift manager and were told the Quest was re-rented out that Friday 9th afternoon to a “European customer”!! So we asked why we couldn’t take it out? Another man named Tido said our rental period was too long (until 25th), but the European customer’s was shorter so he could take out the Quest. We asked until what day the rental period is, the answer is 22nd!! We asked what time on Friday the car was re-parked and rented out, Tido went into the back and very shortly came out to say 3pm. We asked how it was possible that the car we couldn’t take out because it was defective and due for maintenance be re-rented out 3 hours later? Mr. Tido said it was the “system” of Dollar which sometimes does that!!!! Tido said there was no way they could contact the European customer and we had to wait until the 22nd when the car is returned and hopefully that customer would return the bag, otherwise there’s no recourse. The officer then asked who was responsible for lost and found, Tido said Samantha and she was not in there at the moment. She was working at Thrifty nearby and nobody had the key to the lost and found room! However, a few minutes later Samantha unknowingly walked out from the back office and saw us, but kept walking by!! Tido was trying to say that Dollar cannot be responsible for lost item in returned cars. However we said our case is totally different. The bag never left the premise and the Quest was still under possession of Dollar. The proof would all be recorded by the surveillance cameras pointing directly at the rental area and the gate. Then we asked how many days the camera footage would be kept, and someone there answered they make and keep copies for everyday. Samantha called my son, and then me to ask for our rental contract number and said somebody or her would call me again shortly. But we never got any call back and it all went quiet again. We contacted Inglewood Police that has jurisdiction over 9150 Aviation Blvd. (Dollar’s address). Officer Mandujano accompanied us and spoke to Sheryl, who later claimed to be the manager, said somebody already went through the footage with the police officer from last time. This was simply not possible because the LAX police officer couldn’t do much because it was out of his jurisdiction and he left with us. However, Sheryl insisted some policeman already spent the whole day going through the camera footage and called Mr. Jeremy. However, Mr. Jeremy said there was no camera footage because the whole security camera system was down and under maintenance!!! We called Mr. Tido back to speak with us, he said the Nissan Quest was re-parked and rented out to another European customer. He also said somebody already looked at the camera footage and nothing special happened. It was re-parked and driven out by the European. However, he said he already put a notice on that car when it would be returned on June 22nd. to ask if the customer saw that bag. We have been looking at the list on the lost and found website every day and saw nothing. However, on the 26th, an item was inserted as “bag/purse” but backdated as 23rd. So we thought it was possible that it could have been ours. My son called and Samantha answered, but acted as if she never knew about our lost bag. After our son described the bag as a Tommy Hilfiger sports bag containing a Hermes bag, she said it was not ours, but an Adidas bag. At the advice of Inglewood police, we filed a small claims suit against Dollar in the hope to subpoena the camera footage because we know all the proof of this suspected theft by Dollar’s employee(s) are in there. We also subpoena Mr. Tutaco Sanchez to appear in court. We also tried to ask for Samantha and Jeremy’s last names to subpoena them, but they refused to give to us and told us to contact Dollar’s legal department. We tried to contact Corporate Dollar’s legal department. After spending an hour being transferred everywhere but the legal department, we finally got to talk to someone in charge, Ms. Bianca who said they would look into it. However, so far there is no call back from her. We are now hiring a law firm, Jeff A Mann from Los Angeles to take further legal action against Dollar for gross negligence causing a loss of valuable property because the car never left the premise and still under the possession of Dollar Rent a Car. The loss also happened because a Dollar employee drove off with the car while we didn’t even finish unloading all of our belongings. 1. Why did Yvette text us on Saturday evening that they were still trying to locate the Quest because they didn’t know where it was sent out to since they had 3 other lots for maintenance? 2. Is it really possible a car rental company not knowing where one of their cars is, when it is still in their possession and being sent out to maintenance? Why was a defective car parked as ready for rent? 4. 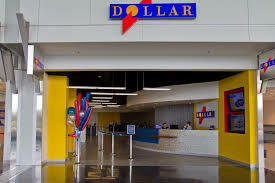 Does Dollar have the “procedural policy” to park a ready for rent, but defective car for customer to choose, but would be told at the gate to return it? What kind of “system” is that? Why did a Dollar employee drive the car off immediately with all our belongings still inside? 6. Do they not have a record of who drove that car when we were trying to find another car? Do they not have record of who drove that car out of the gate and to which lot? 7. However, how could the shift manager say the Quest was re-rented out 3 pm that same day? Why was there absolutely no contact from Dollar if they knew the car was really re-rented out? 10. Why did the gate guard say the car had a sticker on it and had to be returned for maintenance because “it had many complaints from the customers”, but why was it parked in the area ready for rental in the first place? And how could it be re-parked ready for rental again 3 hours later? Does it mean Dollar rented out a defective car knowingly? Why wasn’t there a real effort to locate the expensive lost item? 12. Doesn’t Dollar recheck the car before it is ready to be rented out again? 13. In this day and age, how could someone drive the Quest out the lot with an unattended bag in the backseat and not notify someone right away when found? Who would dare to open that bag found near the airport vicinity? If the car was rented out to another “European”, can’t there be a way to contact to ask a gentle question if the bag is still in the car? Don’t people use email, though they may not have a US number? 15. If that was the case, why didn’t they inform us right away that the car was re-rented out after we left? There was absolutely no verbal communication from them at all though they have our numbers. 16. Why did my son have to call again and again when lost and found said they would call back, but never did. My son had to call back every time. 17. How is it possible that Samantha told my son they found the car on the 8th and she personally looked inside and found nothing, before we even reported the loss on the 9th? 18. How could Samantha look into the back of the car when it was already “re-rented” out to another European that same afternoon of the 8th? 19. Why did they tell us Samantha was not working there when she actually was in the back office? 20. How could they not have the key to the lost and found room during office hours on Wednesday 13th? 21. Everything must be recorded by several cameras’ surveillance footage, why can’t they just take a look since they knew the exact time and day? Even if the car was parked in the other line, wouldn’t they see someone carry the bag out by some other cameras nearby? 22. Why did they tell us they spent the whole day looking at the camera footage when they knew the exact time we left? All they had to do was to look at the exit gate camera to find the license plate number of the Quest and just put in the computer to find out where the car was. 23. What was Mr. Jeremy supposedly looking at the whole day when he later said there was no camera footage? 24. Is it possible that a car rental place so near to one of the busiest airports not have a working surveillance system? With thousands of people, some of suspected backgrounds renting cars for whatever reasons, and they say they don’t have the footage? Are they putting customers and general security at risks through their negligence? 25. Why did we get a call from Dollar 6 days later asking for rental contract after the visit with the LAX officer, but no more communication again? Why did Dollar’s employees tell obvious lies to us, their customers in distress? After we have tried to raise the issue to the police, the court and the corporate office, there has been very feeble attempt to contact us through email that the lost item is not found, and Dollar will continue to monitor for it. Monitor what when we suspect it was stolen from the inside? We have sent this report to “Customer Care”, but were told that the issue of lost and found is handled locally, and we had to contact the local office manager. How could we contact him/her when all of the people there say they are the manager? And there is an obvious attempt to stonewall us because they think we are tourists and will just go away with no recourse. With all the conflicting stories we are told, we are convinced there is a crime committed on the LAX Dollar Rent A Car premise. The Hermes Birkin bag is very expensive and holds a sentimental value to us. We demand a thorough investigation by someone of authority looking at the recorded video of the rental area, and the supposed record of the rental to the European. We believe all the proofs of this theft can be discovered in that video, and the rental record and the maintenance record of the surveillance cameras. We will also take legal actions against Dollar Rent a Car for gross negligence and unacceptable customer care. This is not an ordinary lost and found. The bag was still in a car which was never taken out of the Dollar’s premise and still in possession of Dollar. Unless all the questions above are answered satisfactorily, we will go with our suspicion that Dollar employee(s) stole our bag. I am a prominent businessman in Thailand and I understand how businesses operate. I am also a reasonable man and was nicely asking the Dollar employees for help. However, the uncaring attitude of every Dollar employee we encountered was absolutely horrible and unacceptable. I will make sure many Thai people will hear about this incident at your company. I will also not rent another car from here ever again. Anyway, I don’t believe any one at Dollar really cares. What a surprise when I returned the car. I rented a car from Dollar as I went to Phoenix to be with my sister who was in intensive care in the hospital. Not knowing how long I would be there, I initially rented the car for a week. At the end of the week, I still didn’t know how long I would be there, so extended the car for another week. While the “Initial Charges” on my receipt when I returned the car were very reasonable ($171 for 10 days), the total bill was more than double that — $346. Some of that difference was taxes, but Dollar assessed $95 in fees: $25 “Early Return Fee”, $60 Customer Facility Charge (whatever that is), and $10 “Return Change Fee”. These undisclosed fees are exorbitant and unreasonable. Guess I’ll have to rent from a reputable company next time. I am in disgust because of the total misrepresentation your company/ employees have as far as your policies are. I used your services August of last year with my VISA PREPAID CARD AT THE TIME OF RESERVATION AND AND RETURN OF RENTAL WITH ABSOLUTELY NO ISSUES. I made a reservation last month for this past week and had over 1,000 dollars on card- called the 800 number to verify I could use this card 2 weeks ahead of time and they even checked twice and I was assured it would be fine . I get to JAX Airport and present all necessary doXXXXentation for return flight , second form of ID and the card on file for payment- the agent was extremely rude, even though I assured her that I had spoken to someone, she did not care. I then called the 800 number to get it straightened out, we got everything situated and was AGAIN assured to me that my card and credit were worthy of rental, I was given a lower rate for my “ inconvenience “ and a new confirmation number and told to go to counter and they would take this payment and how sorry they were. Well, guess what ?Your representatives Kim and her supervisor wouldn’t even try my card again and didn’t seem to care what I had to say with their awful derogatory demeanor, not even listening to me to explain I had just spoken to Escalation in order to rent my car. So , when all is said and done I am out $425 in taxi fair and an emotionally ruined vacation per your company, and although you won’t care I am telling everyone via twitter, FB, and all outlets of social media how horrible my experience was with your company and their GHETTO FABULOUS un trained personnel. Having prebooked the car and paid in full I expected there to be a car. We were told that the car was being driven over from the other terminal and to wait until she called us. Half an hour later my husband went to query how long. Without looking up, Chay informed him it would be 5 or 10 minutes which he reported to me. I went up to he counter and asked Chay if she could confirm how long it would be as we had been waiting a while. She said 5 or 10 minutes and repeated a car was being driven over. I queried this as the company should have been prepared for our picking the car up. I asked if she could contact the person to find out exactly how long he would be. I was stunned to be threatened in response. Chay stated I “could wait inside or she could send me outside to wait in the heat.” I had spoken in a measured tone to her about a legitimate concern. She refused to answer my basic query or explain what the delay was. It has now been an hour. No sign of the car yet and we are going to miss our dinner reservation and be charged for it. Update. A man started calling lots of names. We were supposed to be ‘first in the list’. Surprise surprise no car for us. Wow! Wish I would have read these comments before rental. I would think the company officers would realize there is a flaw in the rental process if this many customer are complaining about the same thing 🙁 This is a true example of deception! The rental representatives should explain exactly what you are agree to in the contract. Do you really want a customer to bring there attorney or stand there to read the fine print of 12 pages of contract fees or are you going to be a stand up company, confident in your service, and disclose the fees honestly and upfront! Rental agreement upon reservation was $73 thru Expedia. After returning home and in review of my credit card statement, I was charged an additional $76 in fees by Thrifty. Fees that are ridiculous: $27 for premium road service?? what are you doing? driving me around?? $40 loss damage waiver?? what is that??? smh and the best one – Concession fee recovery $3 (and tax of $6) – what concession fee did you recover? Horrible! I am sure the 800 service reps. are not nice because they have to work there and deal with these complaints. After a while they become deaf to the actual reasons. Corporate needs to make changes for the customers and for their employees. I believe that I was inappropriately billed on a recent Dollar car rental. I do not want to post the details here, because after speaking with your “Customer Service”, I believe that it’s going to be much easier to just put a hold on the credit card transaction and deal with it that way. But, I do want to complain about your customer service which is, as bad as any I have ever dealt with. In my opinion, the system was intentially designed to pass the customer from employee to employee without any intent of ever listening to and understanding their problem. Add in a heavy dose of hostility from Dollar employees and you have a Customer Service Department which is as pleasant to deal with as rectal cancer. Needless to say, Dollar has burned all bridges as far as I am concerned and I will never, ever do business with you again. I don’t carry a credit card, no flight and I’m local. AVIS and Enterprise rent to me just fine. WTF!?!?! I made my reservation before your policy BS so I should be grandfathered in prior to your policy change. Now your f-ing me over on purpose. Why wasn’t I notified of your policy change after the fact I made the reservation? Now I have a royal cluster f**k on my hands! No rental at a budget I could afford, I’m screwed on making it to my destination on time, your staff at the airport wouldn’t work with me on it (basically screwing me over) and now I’m totally f**ked! I should’ve paid the higher premium and went with AVIS in the first place and avoided this “taking to the woodshed” BS. My fellow Americans, bikers and jarheads… Going cheap isn’t always the best idea, especially with these yay-who’s at Dollar implementing these new policies “lets do this and don’t tell anyone”. I apologize for having to contact you about this matter but I was unable to solve it dealing directly with your lower managers as I was unable to get contact information for Jeff Chance. His subordinate, Michael, refused to be of any help. On July 24, 2017 I rented a car on your website, prepaying for the car and getting a prepaid rate of less than $300. It was billed through etrawler, at $198.35 with the remainder, the taxes, due upon pick up. An email was sent through Dollar with the voucher included. Since I locked in this rate I cancelled my other reservation. When I arrived at Fort Lauderdale airport with my four children I went to the car rental counter to pick up my car. I showed the counter person the email and requested the car. He looked it up and said that the car would be small but he insisted that the tiny car they put us in would seat 5 (every other rental agency lists it as seating 4) and that they could give me nothing larger as this was the car I rented. I stated that the agreement was economy or larger hoping to get something larger. No luck, we went with the tiny car. I signed the agreement knowing the total bill should be close to $300 but also knowing I only owed the balance. responsibility in that I should have not assumed that your employees know how to do their jobs. I should not have assumed that it would be balanced out at the end and I should have found the energy to question everything. All I want is the money that was owed to me – the just under $300 your company overcharged me. The balance owed was $94.08 in taxes. I would like a refund of $279.60 – the difference between what your company charged me and the amount I owed. I travel to Florida about four times per year to see my granddaughter. I always travel on a tight budget as I am a teacher and a single mother. Sometimes I travel by myself and sometimes I travel with several younger children. 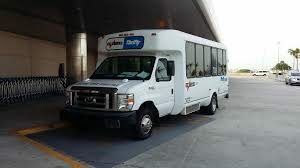 In the past I have preferred to use Dollar rental as you have reasonable prices and are on location at the airport (do not require a separate shuttle van). I would like to continue to do business with Dollar rental for my future car rental needs. I look forward to hearing from your company with a solution to this problem promptly. 1.The counter agent was a bit short in tone, I presented an international license then she requested additional information by giving me a small piece of paper. I gave her my local address, email address & phone number by writing it one the paper. She quickly returned the paper, in a tone that was less than friendly. She then stated, she needed an address that matched my driver’s license. Often time, while traveling a local address is requested. I didn’t understand her original intent in asking for additional information nor did she do anything to make her original request clear. After she gave me the paper back, I turned the paper over completed it with her request (this is my 2nd attempt to comply with her request, as a paying customer who is tired from traveling). Now, the transaction was off to a negative tone. She rushed me through the process handing me the rental agreement, as if I was taking up, too much of her time. There were only two people in line. I didn’t feel welcome at her counter, she lacked professionalism. 2. The older man that showed me to the car, after receiving the rental agreement was quite pleasant. 3.Upon, exiting the airport, while on the freeway driving, I noticed that the USB port had something stuck in it & it did not work. I took a time stamped picture. I was tired from traveling & later I called the office # on the contract paperwork, it was closed. I called again several days later, asking for compensation for the broken USB port, I was offered a rental exchange. I did not request nor desire a rental exchange because driving to and from the airport is inconvenient. I requested compensation & not a change in vehicle. 4.Paying for a toll fee with unlimited use per day rather, you use it or not. That is an excessive and unnecessary charge. 5. I also told one agent on the phone Eli, I was disappointed with the overall service & wanted to bring the car back early. She offered nothing in attempt at customer retention. I returned the car on Friday, August 11, 2017 & I am renting with a company that has more professional counter agents. My original estimated cost was $810.97 the pick up time says 8:48 am and the return time says 8:00 am why wouldn’t the return time be the same? With spending over $800.00 or $80.00, I expect excellent customer service. Your counter agent’s behavior was unacceptable. Your toll fees are excessive. I am a member of a travel group of more than 50,000; I intend to share this experience with my travel group. If you are going to have expensive prices; at least have excellent customer service. Don’t lack in customer service and be expensive. The CEO only has what his people tell him, so here I go. I rented a car from Logan Airport Boston, MA, contract #589196926. The agent automatically put loss damage waiver and charged me. I have USAA insurance – I don’t need the waiver, much less initial I wanted it. I called your hideous 800 # to have it corrected; they told me I had to do it in person. I tried to do it in person, but the guy at Logan airport wasn’t in (most convenient). So, I get stiffed for some extra charges, nice company – hang up a few more “customer is king” posters (kidding); that should fix everything. I want to say, for the record, Bill, a retired Albanian Army officer, is a great ambassador for your company. You need to get him promoted. PS I doubt if this goes anywhere, but what the heck. I write following a recent visit to Florida and the hire of a car from Dollar. I’ve rented from Dollar before – some years ago at Sanford – ‘excellent service’ and other times at MCO. This time it was less than good. We booked and paid for two cars – a 7 seater People Carrier and a Compact – through USrentacar using their voucher system. Though we registered with Dollar online beforehand after being told it would make collection quicker we still had to go through the rigmarole at the desk in Orlando International Airport. The guy at the desk was great. He offered us extra road assistance which we declined and upgrades etc. All the things we were used to being offered but he accepted with good grace that we, as seasoned Orlando’ers, knew what we wanted. In the garage to pick the cars up there was some choice of People Carrier but only one Compact available, so, no choice. We picked up the cars and were on our way. Half way through the holiday the engine warning light started to show on the Compact and we phoned Dollar for advice. The agent on the phone said that I should not worry about it and that if the car broke down it would be replaced. The other alternative given was to return the car to MCO for a replacement. Having lost confidence in the Compact car we spent the rest of the holiday with family in the People Carrier. On the day we were to return the cars it was with some trepidation that I drove the Compact back to the airport. We arrived back together just after 1600, completing the return form with Mileage, fuel amount, and time in (1605). My son in law in the People Carrier was quickly dealt with and given a receipt and immediately afterwards my Compact was dealt with. I did not receive a receipt as the guy said I did not need one. I insisted in getting something and he gave me a piece of the agreement form. Within hours my Son in Law received his invoice with a return time of 1617 and a bill for tolls on his SunPass. I was not able to get my invoice until I returned home. I was horrified to see that I had been charged an extra day for ‘Late return’. The time on my invoice for the return of the Compact was 1651 – 34 minutes after my son in law. I sent an email to Dollar querying the invoice suggesting that the time difference between the previous car, my son in law was completely wrong. This means either it took 34 minutes to check over my car or the person who checked over my car had a watch that was not working. There is another possibility which I am sure might have been considered. I also mentioned that the general rules state a grace period of 30 minutes. None of this was referred to by your Customer Services. Although $44.95, a days hire, has been credited to me by your Customer Services – for which I thank you – the Customer Services person, Donna Lantz says that there is not a grace period, even though this is in section A. of your General Policies, and she makes no reference to the fact that I didn’t have the full use of the Compact for the second half of my holiday. It is not about the money particularly but rather the experience where I think that Dollar fell short on this occasion. I have holidayed in the USA on many occasions since 1990 – sixteen including 9 in Florida – and this is only the second time I have had problems with Car Hire so you could say it’s not a bad average, however, to have a good part of a vacation spoiled due to car problems is not nice. Especially for an ‘Oldie’ like me. Because I’m retired I have time to reflect and just thought you’d like to know how a customer feels directly. Thanks for reading this missive. I wants to complain about my mini IPad being left in the car, call the 1800 but they would not give us the Birmingham, Al airport local number. My reference number is 2911804746 for my IPad which they claim was not in the car and the had not be rented out since returned July 3, 2017. The people who are cleaning out the cars are ripping off people, the customer service was horrible. I know I left my ipad in back seat pocket behind the drivers side, it has my name on the in a pink and green case. I would like for someone to contact via email in reference to my belongs. After I complete this trip ending 7-22-17; I will never rent from dollar rental car,I have never been so disappointed with a company in my life.I spoke to someone at 1-800-397-3342,I’m speechless. Yes, these people are awful. I arrived at 6:50 p.m. to a 7:00 p.m. pickup and they tried to charge me for an additional hour because I picked the car up early. So I had to sit and wait there for 10 minutes to pick up the car at “exactly” 7:00 p.m. The rental period was for 4 days and one hour, and that was the amount charged. When I returned the car, I was an hour late, so the charges should have been for four days and two hours. However, the agent kept insisting that the hours totaled three hours over. I explained to him that yes, it was three hours over the 4 DAYS, but I HAD ALREADY PAID for one extra hour, leaving only one additional hour. He could not understand it, barely spoke passable English, and could not do the math. I just gave up. These people are impossible idiots or deliberate crooks–it’s kind of hard to tell which. I travel all the time in my job and for my trip to Panama City, Florida I chose dollar rental car for a change….renting a car is usually a breeze. I arrived at the Panama City Beach Airport and went to the rental counter to get my car. The attendant said we don’t have any cars available for your request but we do have an upgrade SUV….I said OK for the same price correct? She said no it will be an additional $97.00….I said you’re kidding. I told her the I just wanted my original reservation filled….she said you might be here for awhile. I went to several of the other rental companies down the counter and could get any of the rental cars cheaper that what she had told me. So I went back and communicated that to the desk clerk…a second desk clerk came over and said she would handle it. She said sorry for your wait but I do have one available and she gave me the keys and I told her I would be returning Saturday and she said no problem it is not due back till Sunday. So after a 1.5 hour delay to get a rental all was taken care of. I returned the car on Saturday morning and no one was at the counter and it said to leave keys in the drop box, which I did. On my way back to Ohio I got my receipt with a $25.00 early return fee…..I tried calling but nothing was open until Monday. I called Monday morning and talked to the customer rep…..she said she could do nothing about the charge and passed me off to another representative. I was going through the details and my call got dropped. I called in again, waited the 30 minutes to finally get a customer rep. and she said the charge had been removed and I thanked her. I then asked her to send me something stating that this conversation had taken place…she said she couldn’t do that..she said to wait until it showed up on my account and call in for another receipt. I asked again to just send me something stating it will take place and asked to speak to her manager…..I waited about 20 minutes on the phone to hear from her that the manager was busy and would call me back in 24-48 hours. I said all I want is some sort of confirmation and she said she couldn’t provided that and then proceeded to hang up on me. So my first rental with Dollar will probably be my last! If I would have had 1/2 the issues I have had with a simple rental with most rental car companies they would have compted by rental in hopes of future rentals. All I got was a “customer representative” hang up on me. You Need to take a look at your customer service department because that have a problem of identifying the “customer”. I made a reservation online AFTER speaking with customer service about the situation. My wife is with her daughter and grandson who were medically evacuated from Okinawa to Tripler Army Medical Center in Hawaii. I explained that my wife has an open ended return ticket since they do not know when her daughter and grandson will be released from care to travel. I paid for the reservation online and was told that as long as my wife’s last name matched the name on the card used, she would have NO issues picking up a car. My wife is currently at the Honolulu Airport office and they WILL NOT give her a car because she does not have a confirmed return flight. Customer service supervisor contacted the Jerry (return agent) at the Honolulu office and told them that a $50.00 cash deposit will be sufficient for the rental. Now, after customer service contacting the office, they STILL CAN’T GET A CAR. This is the last time I will ever utilize Dollar FOR ANYTHING!!! STAY AWAY from this company its not worth it! This sounds exactly like what happened to me. I paid online then they charged me an additional $390 at the airport. I have yet to hear from the company and every time I send Mr. Paxton a letter it gets returned. I think this company is purposely ripping people off …. Class action lawsuit anyone???? I would like to give a shout out and thank you to ANNE MARIE and CANDACE at the Jacksonville International Airport in Jacksonville, FL. My husband and I arrived on 04/23/17 and upon opening the door to our rental car, it reeked of cigarette smoke. We went over to Anne Marie and Candace and explained the situation and our concern. Both ladies were so understanding and kind. We were given a different car in no time. I’m telling you, their friendliness should not go unnoticed. As we drove away, both ladies waved to us with a warm smile! Thank you Anne Marie and Candace! You were our warm and friendly welcome to Florida! I was charged for unwanted insurance. When I saw the error I called Dollar and they refused to refund the money for unwanted insurance. I explained to the rep I rented a car in Sacramento 2 weeks earlier with another agency and declined the insurance. It would make no sense why I would want dollars insurance. The rep refuses to refund my money. I would like my money back for an option I did not want or need. My experience with Dollar Rental was TERRIBLE! I completed a reservation for 4/19/17 for Pick- up from the airport in Atlanta the customer service Rep who stated her name was Jennifer was extremely rude. My first reservation was for 9:30am(which she saw in her system) then I modified my reservation and I didn’t realize the time switched to 1pm so when I arrived at the counter Jennifer was nasty stating your you will only get the car if your credit is good then she proceed to say your reservation is for 1pm so you have to come back! With hesitation I look at her and she says “YOUR RESERVATION IS AT 1PM AND HANDS ME BACK MY I. D. & C. C.” I walk away pissed and seek out another rental company and a Hertz rep who was extremely nice not knowing of my encounter with Dollar and she asked a few questions and after speaking with her she informs me that Hertz and Dollar are sister companies and she suggest that I use the kiosk to complete my car rental so I oblige to only be confronted by Dana the Ops manager who was also rude and disrespectful stating in a very demeaning tone “THE KIOSK IS NOT WORKING” I was already speaking to live rep and attempted to explain to the rep the kiosk wasn’t working and I was thanking her for her time when the manager Dana came back and yelled “I SAID THE KIOSK ISNT WORKING ” AT this point I’m furious and let Dana know that as a manager she should learn how to speak to people professiionly and the live rep Kathy asked to speak to Dana to also let her know that it wasn’t my fault for not knowing the kiosk wasn’t working there were no signs and one of the company employees instructed me to use the machine. I then explained to Dana the manager of my first encounter with Jennifer and she dismissed it but allowed me to go directly to the counter and speak with another rep named Brandy who was very nice and explained to me that my rate may change due to renting earlier then my reservation time I said okay what’s the new rate she told me but at this point I declined to patronize Dollar and my family and I went to Alamo and their process was seamless I got a better rental , no credit check no deposit and drove off within 15-20 minutes! My friend and family member had reservations with Dollar for their upcoming trips and I shared my experience and they cancelled and reserved their future rentals with Alamo! I’ve tried calling corporate since 4;29/17 through today 4/24/17 to no avail. I will continue to share my poor experience with Dollar and encourage people to rent from Alamo! Just received a bill for $48.96 for $3.96 unpaid toll charges in Florida. After 1 hour and 4 phone calls, one of your people reduced it to $18.96. I now understand that Florida has both roads which are toll charged to your license plates (the rental car) and toll roads which I paid cash at the booths. I feel that this appears to be a scam to get more money out of us using the unknown toll roads, since no one informed us of this problem when the car was rented. I have reluctantly agreed to pay the $18.96 but am very disappointed and feel that this is a poor business practice, taking advantage of out of state visitors. I also received a bill for $64.75 for unpaid toll charges after eating in Florida. It was $4.75 for unpaid tolls plus $60.00 for “administrative” fees, which is outrageous and usury. Fact is, we paid one toll in cash and then did not come across any others to pay it. I realize now they bill you by license plate and I’m willing to pay the fee…but $60.00 fee, almost 15 times to toll amount!!! I tried to call the corporate office of Dollar in Tulsa which was listed on a Google search, but that number is not valid. Who do we contact to help reduce this absurd business practice. I picked up a car at the McCarren Airport in Las Vegas. The man behind the counter kept pushing the insurance. I declined the coverage after he asked how much my deductible was. I have rented for years with corporations and now with my own company. I have NEVER taken the coverage. I know that my credit card covers these up charges. He was quite rude and condescending and I thought about stopping to chat with the manager. When I returned the car, I was charged for the full coverage. Just as much as my full rental bringing my total in at twice as much as was quoted. I was directed to a 800 number for customer service. I told the woman what had happened and she too was rude. She never said so sorry that this happened. Finally said she would credit the fee in 5-7 days and tried to hang up. I got her name this time. Nica. Dollar, it appears you are training your people to be deceitful and engage in criminal activity. Then your train your customer service to not provide any customer service. I will never rent from Dollar again and will share my story with other corporate employees, friends and family as well as posting this all over social media. I have been a Dollar Express member for years. After my experience with LAX Dollar, I am not only NOT going to rent from Dollar but I am encouraging all my Company employees to switch as well. I rented on December 21. The flight was late getting into LAX; the luggage was late coming in, the shuttle was only about a 7 minute wait (a really RARE occurrence at LAX), but the shuttle ride took at least 40 minutes…traffic, rain, construction, and a stop at Thrifty. We get to Dollar. My car is to be in “slot 38”. No car. the “Kiosk” lady (KL for short as no one wears name tags), told me that they gave my car to someone else along with all my paperwork which was in the car. Because she didn’t have my paperwork, she would have to create a manual booking. Mind you I booked this weeks ago. They put us in a car to keep dry, (remember it’ was raining) and we waited…and waited…and waited…I go to the Kiosk and tell KL that we have been waiting for about 35 minutes. I’m told “just wait in the car, I’ll bring the paperwork”. I wait and wait and wait…15 more minutes. I go back to KL and say “I have appointments north of here and we have just missed the appointment, I want to see the manager, who is the manager?” I’m told “Dion” and you can see the manager when I have this paperwork…5 more minutes…KL and I walk into the empty Dollar building. There are Four Dollar employees at their terminals. KL says hello to all of them (important point) and then says “I have to go to the back to the get the manager.” KL comes out…and says “the manager is at the counter” (remember she already has said “hi” to this “non manager pretending to be the manager” person. I ask “are you the manager.” I get “what’s the issue.” Well first you tell me that you let someone drive off with my car and my paperwork, She says “no we voided your paperwork and car because you were late.” I say “this isn’t what I was told.” Pretender says “well that’s what happening”. So I say, if you voided it, why did you have to create manual paperwork. She says “that’s how it works”. Back to me: “I have been here ONE HOUR, I have Missed ALL my appointments and I want to know what you are going to do for a credit?” The “non manager pretending to be manager” says “Your plane was late. You should have called us.” ARE YOU KIDDING ME!!! From the airplane or where from. Should I have had the pilot call you!!!??? So I ask this and note that my plane number was on the agreement, “all you had to do was look”. And I get from her “we NEVER check numbers” That’s your job to let us know. So I say, is it also my job to make sure you don’t take 45 minutes to drive from LAX here? Is it my job to make sure it doesn’t take ONE HOUR to get me a car.” and Ms Non Manager pretending to be the Manager says (are you ready for this) YES IT IS. So, I realize she is worthless even as a pretender, so I say what about a credit? Then she says, I’ll give you a credit for $36. That’s all I’m doing. She printed out the agreement handed it to and said “you were in a hurry you should leave.” I grabbed it, and left and realized AFTER THE FACT that all she did was reprint the identical paperwork. You got it, NO CREDIT. I’m sure she and the three idle employees at the counters are still laughing about this. I left. I missed my appointment. I didn’t get the credit. I was treated like crap. BTW, I will insist that all my employees look anywhere but Dollar when renting. Your SERVICE IS DEPLORABLE. DOLLAR your car rental at Orlando airport should be ashamed of themselves! Dishonest thieves that do not give you the correct information and tell lies in order to earn commission! After a 9 hour flight, an hour and a half and a half clearing immigration plus a five hour time difference you just want to collect your car keys and get to your destination. We had already paid in advance for our car hire but when we got to the desk to ollect our keys we were told that we had a further $250 to pay and when we questioned this, we were told that it was for taxed and fuel. We advised them that we would bring the car back with a full tank but were charged for it anyway! My Sisters also had a car booked and they were charged an extra $180 and were also told when questioning the charge that it was for taxes and we had to pay it. As visitors to the country we thought that we had no choice but to pay however the following day when we had a chance to look through our paperwork we found to our horror that we had been charged for breakdown cover at $7.99 per day plus a tank of fuel at double the price of what it costs to fill up. We neither wanted or needed this cover as we were on a 6 day cruise and the car was parked up for the whole of that time! We were also not told that we were signing up for it. The way it was done is dishonest and illegal and we would like to know how we go about getting a refund? I tried to rent a car in Missoula Mt today about 4:00pm the address on W Broadway I will never rent from you again the guy at the counter was the rudest person I have encountered in a long time. I had called earlier to reserve a car so when I went in there he said I don’t have a reservation and I don’t have that size car available so I told him I was very upset and he got even ruder, for some reason my card would not go through so I called my bank they told me he was running it for 500.00 dollars I asked him why 500.00 he said 350.00 deposit and then another 150.00 I asked why the 150.00 when the car was only 48.00 he said thats the way it is so I said when I bring the car back what do I get back he said 350.00 I said no I will get it all back except the charge for the day he said no I could go somewhere else I did. I had rented a Malibu car (GA CDH7335) at Atlanta Airport from 08/29/16 09:16 PM to 08/29/16 06:44 PM. I find that the total miles entered on the statement of charges is incorrect (791 miles!). I had hardly driven 100 miles on this car, and had just paid around $8 for filling up the fuel tank. When I try to take a survey on dollarrentalsurvey.com today using access code 00582, it says that the survey has already been completed! Please send me a corrected statement of charges with the actual miles I had driven as I need to account for these elsewhere. Thank you. Want to make sure Dollar Rent a Car sees your comment or complaint?